Gabor Aria 8139 women's cross body bag. 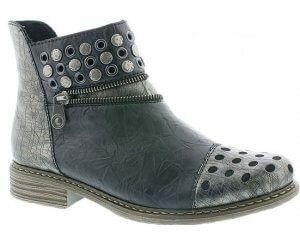 It features a high quality synthetic leather upper with chain detailing and an embossed Gabor logo. The zip-top fastening provides extra security for your belongings, while the two external and one internal zipped pockets allow you to organise your things. It has a fully adjustable and removable shoulder strap so you can achieve the perfect length to suit you. This also adds versatility to the bag as it can be worn on the shoulder, across the body and even used as a clutch bag! 35 x 27 x 8cm (approx).